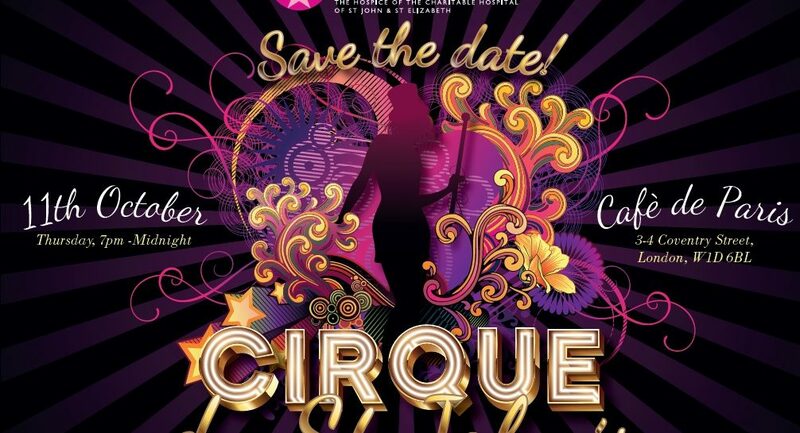 Now in its Seventh year, Cirque du St John’s is back this autumn at the world famous Café de Paris in the heart of London’s Leicester Square and promises a night of entertainment and fine dining! Guests will enjoy a silent and live auction with one-of-a-kind prizes whilst tucking into a delicious 3 course meal – with guests sure to be wowed by the planned onstage entertainment. Our event last year raised an astonishing £120,000 for St John’s! We hope this year we can raise even more funds for our hospice. With your generous support, all funds raised on the night help fund vital palliative care and support through our range of Hospice services -providing care for over 4,000 patients and their families across North West and Central London every year.